Freeze-drying involves removal of solvent such that the molecular structure of the active ingredient of the drug is least disturbed. 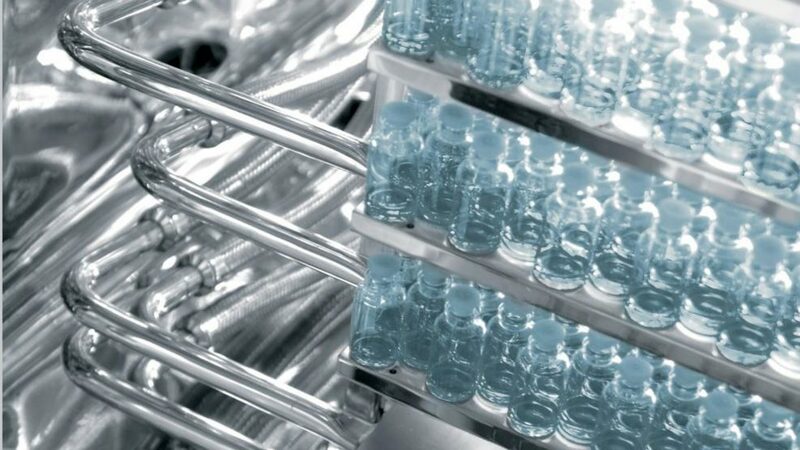 IMA Life can offer the most comprehensive range of custom-built freeze dryers, as well as versatile standard ones, all available as a stand-alone unit, or as part of a complete integrated pharmaceutical packaging system. IMA life’s Fusion shelves incorporate proprietary brazing and welding technology to construct freeze dryer shelves that are lighter, stronger, thinner, flatter, and have improved heat transfer characteristics when compared to conventional designs. 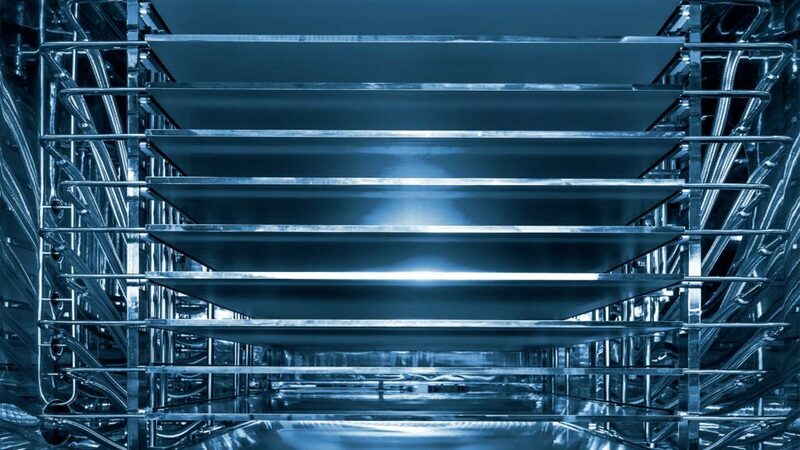 The VERISEQ™ Ice Fog Nucleation process cuts production time by up to 30%, increases process control, and improves finished product attributes. The freeze drying method consists of three phases; freezing, sublimation, and desorption. The critical role of the freezing step has for years been overlooked. The freezing process determines the fundamental crystal structure that influences the drying rate for each unit. IMA Life has assembled a team of diverse industry experts to provide our customers a worldwide assistance with product development, scale up and qualification. To enhance this offering, IMA Life has built a development laboratory at the Tonawanda, NY manufacturing facility. IMA Life can now offer assistance with any or all of the following, for all customers worldwide. Conventional designs utilize solid or interlocking steel bars to create flow paths and provide stiffening to the shelves. These bars must be welded to the underside of the shelf surfaces. This requires heavy stock material to withstand warping when heated unevenly during welding. This adds weight and thickness to the shelves. The uneven heating can cause distortion of the shelf, which is critical for systems employing automatic loading and unloading equipment. Finally, the bars create areas where product containers resting on the shelves are not efficiently exposed to the heat transfer medium passing through the shelf. IMA Life’s Fusion shelf utilizes brazing technology that allows the use of lighter materials. The flow paths are created using hollow tubes that allow the heat transfer fluid to pass through and around. All tubes are brazed simultaneously so the distorting effects of uneven heating are eliminated. The result is a shelf that is improved in every aspect. Fusion Plus shelves add a layer of propriety Teflon-based coating to the underside of each shelf. With the increase in use of automatic loading systems, an old nuisance has become a major issue; sticking stoppers. In manually loaded systems, sticking stoppers can be mitigated by operator intervention at the unloading step. Not so with automatic systems. Just a few vials sticking to the underside of a freeze dryer shelf can cause the loss of an entire shelf or even a batch. Fusion plus solves the problem. The coating is non-reactive, rugged, and cleanable, can withstand steam sterilization, and does not shed. Fusion plus has been implemented by major pharmaceutical companies for routine production, having passed exhaustive challenges. The VERISEQ™ Ice Fog Nucleation process cuts production time by up to 30%, increases process control, and improves finished product attributes. Freeze drying has a long history as a viable technology, dating back to the days of the Inca, who used it to preserve potatoes, and to the turn of the 20th century, when it was used during industrial coffee production in the United States. More recently, in the days of World War II, high overseas demand for serum drove Americans to freeze dry serum in granular form for transportation. This marked the beginning of modern-day freeze drying, with the pharmaceutical sector the biggest driver. The freeze drying method consists of three phases; freezing, sublimation, and desorption. The critical role of the freezing step has for years been overlooked. The freezing process determines the fundamental crystal structure that influences the drying rate for each unit. Freezing of the pharmaceutical product in itself entails several steps. First, the free solvent (usually water) must be frozen. This occurs after supercooling, where the solution temperature is reduced to below the equilibrium freezing point of the solution. Supercooled solution then undergoes nucleation, where a single seed crystal or nuclei forms somewhere in the solution. Ice crystals propagate rapidly from the nucleation site. Nucleated units are then solidified, and finally , the solute components are crystalized or solidified into glassy states. In nature, ice crystals form around suspended particles or container defects, while in pure systems, nuclei form from water, but only after significant super cooling. The degree of supercooling is critical because this temperature determines the minimum size of the crystals formed. More supercooling equals smaller crystals. 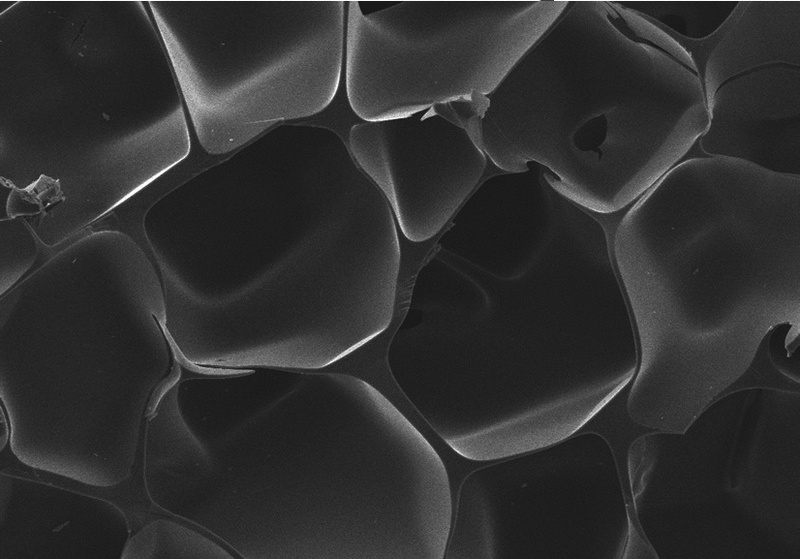 Small crystals are resistant to vapor flow during subsequent drying steps, and during reconstitution. In the past, there has been no means of controlling the amount of supercooling, so individual units would nucleate at variable times. This leads to inconsistent drying and longer cycles. When applied to industrial processes, traditional freeze drying methods do not allow for great efficiency, since large quantities of vials tend to cool inconsistently depending on their placement, and supercooling at significantly low temperatures produces smaller ice crystals that are more resistant to vapor flow. All this leads to longer production cycles. Ice fog is produced in an apparatus that uses liquid nitrogen to vaporize sterile water within a lyophilizer chamber. Lab4Life • The new Lyophiliser Process Development Laboratory. The new Lab4Life consists of a certified clean room, analytical support laboratory, product formulation, filling and full size freeze-drying equipment necessary for the development of pharmaceutical and biopharmaceutical products in batch size up to 20 Liters. The IMA Life Technology Team includes a number of highly skilled professionals with extensive experience gained in the field of parenteral development and facility operation, technical support, and R&D. The technical experience includes freeze-drying technology, aseptic processing, formulation, filtration science and sterilization. Preventative maintenance programs, validation support, control system upgrades, freeze-drying cycle development, training, upgrades and refurbishments, are just some of the value-adding services IMA Life can offer.